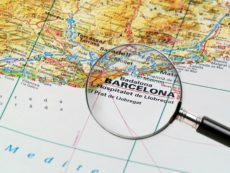 Spanish Central Government Threatens Catalonia | William J. Watkins, Jr. The prime minister of Spain has two requests for the leader of Catalonia. First: Clarify whether the region is, indeed, declaring independence from Spain. And second: If that is the case, take it back. Otherwise, Prime Minister Mariano Rajoy says, Spain will suspend Catalonia’s current autonomy, institute direct rule and possibly even jail the Catalan president. It seems like Madrid means business and plans to use whatever means necessary to prevent Catalan independence. I will certainly fault Catalonia’s leaders for declining to issue a clear declaration one way or the other on independence. It seems that they are using the threat of independence as bargaining power and Madrid is calling the bluff. No wonder the many people who recently voted to support secession seem disappointed and confused by the government’s dance. We’ve had many good comments (comments) on this issue. Debating Europe has this summary of the arguments for and against independence. Americans for Catalonia has gives these grounds in support of independence. The Foundation for Economic Education has this piece on why Catalonia should be allowed to go its own way. The Bologna Center Journal of International Affairs has this article in favor on an independent Catalonia. Foreign Policy makes this case against independence for Catalonia. U.S. News explains why we should support Spain over Catalonia. My view remains that the people of Catalonia should be free to decide whether they will be governed by Madrid or whether they should chart their own course. Large central governments too often make one-sized-fits-all decisions and lack the capacity to govern on a human scale. If Catalonia is serious about independence, we should support them in the experiment of self-government.